This holiday season, Disney International HD will be premiering Descendants 2’ the highly anticapated sequel to the succesful Descendants. 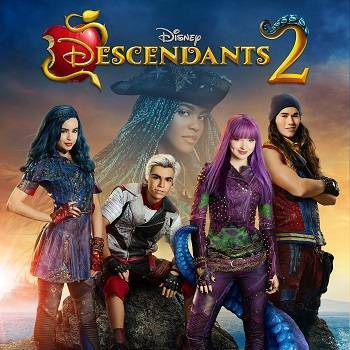 The imaginative story about the teenage sons and daughters of Disney's most infamous villains will continue in "Descendants 2’ as it is telecast at 8.00 pm on 23rd December 2018 for the very first time. In "Descendants 2," the story deepens as the Villain Kids (AKA "VKs") – Mal, Evie, Carlos and Jay – continue to try to find their place in idyllic Auradon. When the pressure to be royal becomes too much for Mal, she returns to her rotten roots on the Isle of the Lost where her archenemy Uma, the daughter of Ursula, has taken her spot as self-proclaimed queen of the run-down town. Uma, still resentful over not being selected by Ben to go to Auradon Prep with the other Villain Kids, stirs her pirate gang including Captain Hook's son Harry and Gaston's son Gil, to break the barrier between the Isle of the Lost and Auradon, and unleash all the villains imprisoned on the Isle, once and for all. Starring are Dove Cameron ("Liv and Maddie"), Cameron Boyce ("Jessie"), Sofia Carson (Hollywood Records recording artist, "Adventures in Babysitting"), Booboo Stewart ("X-Men Days of Future Past"), and Mitchell Hope reprising the roles of Mal, Carlos, Evie, Jay and King Ben, respectively. Starring as the new villains are China Anne McClain ("A.N.T. Farm") as Uma, the daughter of Ursula; Thomas Doherty ("The Lodge") as Harry, son of Captain Hook; Dylan Playfair ("Some Assembly Required") as Gil, son of Gaston; and Anna Cathcart ("Odd Squad") as Dizzy, daughter of Cinderella's evil stepsister Drizella and granddaughter of wicked stepmother Lady Tremaine. Also reprising their roles in this sequel are Brenna D'Amico as Jane, the daughter of Fairy Godmother; Melanie Paxson as Fairy Godmother; Dianne Doan as Lonnie, the daughter of Mulan; Jedidiah Goodacre as Chad, the son of Cinderella; Zachary Gibson as Doug, the son of Dopey; Keegan Connor Tracy as Belle and Dan Payne as Beast.